Kareem Abdul-Jabbar, the NBA’s most prolific scorer, embraces history as if it were a long-lost friend. He knows February is Black History Month. He’s also aware that Feb. 5 will mark the 45th anniversary of the late Robert L. “Bob” Douglas being enshrined into the Naismith Basketball Hall of Fame. Douglas, the first African-American to enter the hall, went in as a contributor. Abdul-Jabbar believes Douglas, regarded by many as the father of black professional basketball, deserved the honor despite being born in St. Kitts, British West Indies. Douglas was the founder of the famed New York Renaissance basketball team. He owned and coached the team from 1923-49. During that span, the team amassed an amazing 2,318-381 record, including a phenomenal 88-game winning streak during the 1932-33 season. An excellent talent evaluator and a shrewd businessman, Douglas took advantage of limited opportunities. When he was 25, he created two amateur basketball teams in Harlem, the Spartan Braves and Spartan Hornets. From 1919 to 1923, the two teams competed against other New York City teams. However, because he wasn’t allowed to retain players who received money from playing other sports, Douglas decided to create a professional team. In 1923, Douglas made a great arrangement with the owners of Harlem’s Renaissance Casino. He put together a group of players and called them the Renaissance. In return for publicizing the casino, which had opened a year earlier, the team practiced and played home games at the venue. A perfect night of entertainment for many back then was watching championship-caliber basketball and dancing without leaving the premises. The Rens were good and had no problem barnstorming the country for games. Playing mostly in the Midwest, the Rens traveled as far as 200 miles for a game. Because of Jim Crow laws and other racially biased practices, the team ate cold meals and slept on buses. During the 1932-33 season, the Rens won 88 consecutive games. Their dominance on the hardwood created a buzz that has never been duplicated. What Douglas did was form a well-conditioned, execution-driven unit that prided itself on winning. Some of the Rens’ greatest games were against the Original Celtics, another barnstorming unit. “[Douglas] was humble,” said Richard Lapchick, endowed chair and director of the DeVos Sport Business Management at the University of Central Florida. Lapchick is also director of The Institute for Diversity and Ethics in Sport. His father, Joe, was a Naismith Basketball Hall of Fame center for the Original Celtics who would later coach St. John’s University and the New York Knicks. “He was someone who tried to put his team in the best circumstances in a society where that was difficult to do because of segregation,” said Lapchick. “My dad learned about racism in America through the rivalry they had with the Rens. There were three times that they left in tandem going to wherever they were going to play the next day, the Celtics behind the Rens’ bus, watching the owner of the gas station come out with a rifle because he wasn’t about to serve gas from their lily-white pumps to a group of blacks on a bus. There were riots that took place during three of the games, all in the Midwest and not in the South. They had to play games with a net around the court to keep spectators from storming the court. Winning was the key behind the Rens’ success. The Rens won the World Professional Basketball Tournament in 1939. In 1940, they lost to the eventual champions, the Harlem Globetrotters. Eight years later, they finished second to the Minneapolis Lakers, the champions of the National Basketball League. “Bob Douglas was the first black man to own a basketball team,” said Abdul-Jabbar. “Not just any team, but the greatest team of the time. The early rivalry with the Original Celtics and Harlem Globetrotters gave basketball exciting teams to support. The possibilities for business success as owners of professional sports franchises is the heart of Bob Douglas’ story. The 1933 New York Rens were enshrined in the Naismith Basketball Hall of Fame. Three Rens players — John “Boy Wonder” Isaacs (2015), William “Pop” Gates (1989), and Cooper (1977) — have been enshrined as players. But the list of talented players is long. 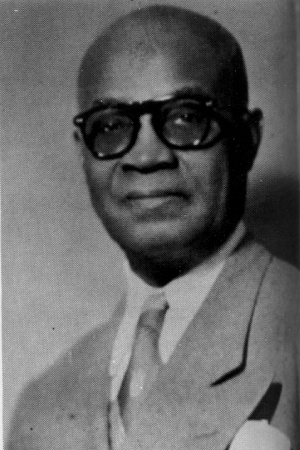 Original Rens such as Hilton Slocum, Hy Monte, Zack Anderson, Frank Forbes, Harold Meyers, and Leon Monde began a team that would eventually yield players such as William “Wee Willie” Smith, Bill Yancy, Johnny “Casey” Holt, and Eyre “Bruiser” Saitch, who played together from 1932 to 1936. Players such as Gates, Saitch, John “Crab” Isaacs, Clarence “Puggy” Bell, Eyre Saitch, Zach Clayton, and Clarence “Fats” Jenkins helped the team win the world title in 1939. The game has changed so much since then. However, professional basketball would arguably not be the global empire that it is now had it not been for the contributions of Douglas.